On 2nd November, 1957, the New Statesman published an article by J. B. Priestley entitled Russia, the Atom and the West. In the article Priestley attacked the decision by Aneurin Bevan to abandon his policy of unilateral nuclear disarmament. The article resulted in a large number of people writing letters to the journal supporting Priestley's views. 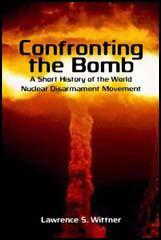 As Canon John Collins pointed out: "Whether other events may have contributed to the emergence of CND, J. 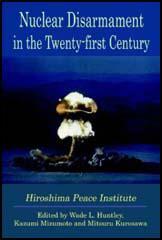 B. Priestley's article exposing the utter folly and wickedness of the whole nuclear strategy was the real catalyst." Andrew Rigby has pointed out: "In November 1957, Hugh Brock suggested that the Direct Action Committee (DAC) should organise a march to Aldermaston. The first Aldermaston march took place the following Easter when 4000 people left Trafalgar Square on the four day journey to the atomic weapons establishment." As Trevor Beeson has argued: "The main public manifestation of the campaign's activities was a series of Easter marches to and from the nuclear research establishment at Aldermaston. The numbers taking part ranged from 7,000 to 20,000. Soon, however, there were serious disagreements. A breakaway committee of 100 was formed in 1960 to organize civil disobedience. This caused dissension, indiscipline, and violence in CND and John Collins resigned from the chairmanship." The annual Easter Aldermaston March that ended in Trafalgar Square in London drew large support in the late 1950s and early 1960s. The stationing of nuclear cruise missiles in Britain revived support for the Campaign for Nuclear Disarmament in the 1980s and for a time the organisation had nearly 100,000 members. The National Council for the Abolition of Nuclear Weapons Tests (NCANWT) had been formed in February 1957, whilst the Emergency Committee for Direct Action against Nuclear War (based at PNs offices in Blackstock Road) came into existence a couple of months later in April 1957, in a belated attempt to frustrate the British H-bomb test at Christmas Island by trying to send a boat into the test area. Later that year, in November, Hugh Brock suggested that the Direct Action Committee (DAC) should organise a march to Aldermaston. The first Aldermaston march took place the following Easter when 4000 people left Trafalgar Square on the four day journey to the atomic weapons establishment. By this time NCANWT had handed over its funds, files and organiser (Peggy Duff) to a new campaign - the Campaign for Nuclear Disarmament (CND). This took place at a meeting held on 16 January 1958 with Canon Collins and a group which he was later to depict as the "prima donnas of the campaigning business": they included the editor of the New Statesman Kingsley Martin, Bertrand Russell, Michael Foot, Sir Richard Acland, Ritchie Calder and Rose MacAulay.During 1958 the number of nuclear tests throughout the world reached almost one hundred, double the figure of 1957, and Britain agreed with the USA to build four bases in East Anglia for sixty Thor missiles. One of these bases was at Swaffham in Norfolk, and it was there in December 1958 that the first major action involving civil disobedience organised by the DAC took place - forty-five demonstrators were arrested for blocking the entrance to the site and thirty of them spent Christmas in jail, including Hugh Brock and Christopher Farley of PN, Pat Arrowsmith, April Carter, Michael Randle, Michael Scott, and Will Warren.So the pattern was set for the next few years - with the DAC eventually giving way to the Committee of 100's campaign of mass "sit-downs" leading up to the "National Day of Civil Disobedience" on 9 December 1961, when 5000 people took part in actions at the Wethersfield, Brize Norton and Ruislip airbases, and in supporting demonstrations in Bristol, Cardiff, York and Manchester, resulting in the arrest of over 800 - including six leading figures charged under the Official Secrets Act on 8 December. Meanwhile CND continued along the more constitutional path oforganising public meetings and rallies - including the annual Easter march from Aldermaston - and seeking to win over the Labour Party to unilateralism.